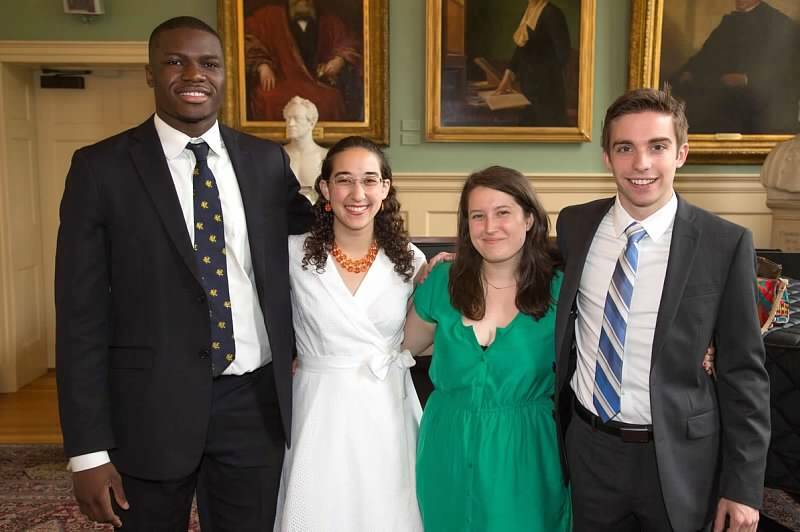 For seniors and guests, featuring the presentation of the Ames Awards, the Harvard and Ivy Orations, and the Class Ode, sung to the tune of “Fair Harvard.” A remarkable display of eloquence and entertainment by fellow classmates, complemented by the 2013 Class Day speaker. 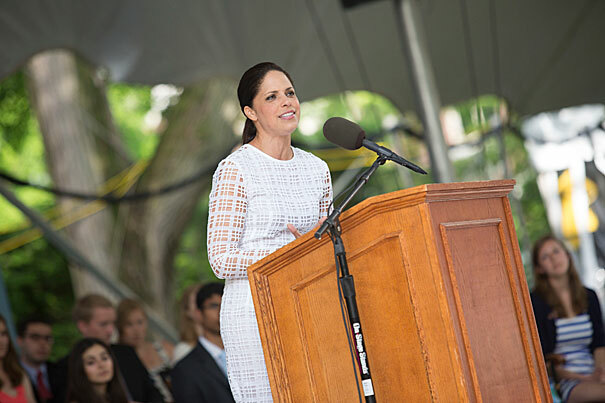 The Senior Class Committee would like to thank Soledad O’Brien, CNN News Correspondent and Harvard Class of ’88/’00, for joining us as our featured guest speaker on Class Day! Thank you for sharing your insights, and we are so happy to have had the honor of sharing your (and our) first Class Day. The Senior Class Committee is proud to announce the 2013 Class Day Orators. See full press release in The Crimson. Thank you to Kristina Latino (right) and team for presenting the Class Ode! 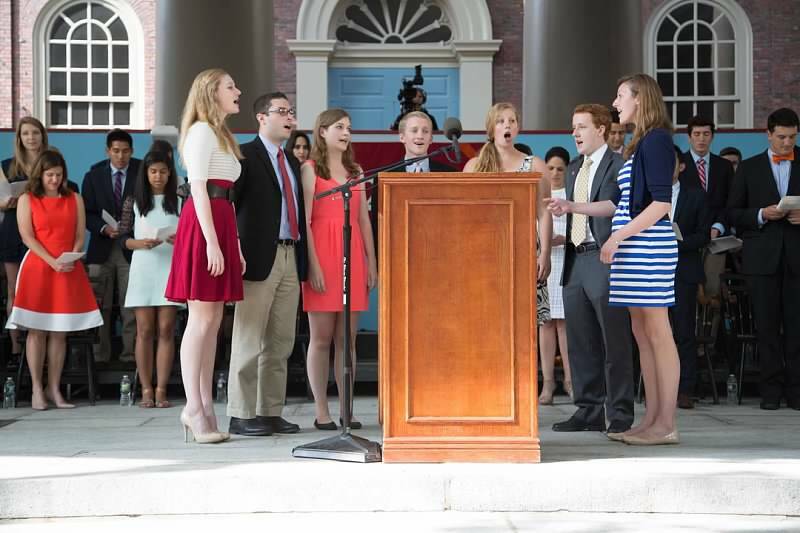 The Class Ode consists of two original verses about our class set to the tune of “Fair Harvard” on Class Day. To new adventures we must now strive. Science Center and Fogg are transformed. ’Cross the years love for Crimson we’ll tend. Two thousand thirteen, we commence. Congratulations to Victor Flores, Jr. and Sarah Lytle! This very prestigious honor was granted to one man and one woman of the senior class during the Class Day ceremonies, on the day before Commencement. On June 19, 1935, Richard Glover Ames and Henry Russell Ames, brothers and Harvard students, gave their lives to save their father, who was washed overboard during a storm off the coast of Newfoundland. Every year since, the Ames Award has been given in their memory to recognize one man and one woman who have shown energy in helping others and who exhibit the same heroic character and inspiring leadership of the Ames brothers. 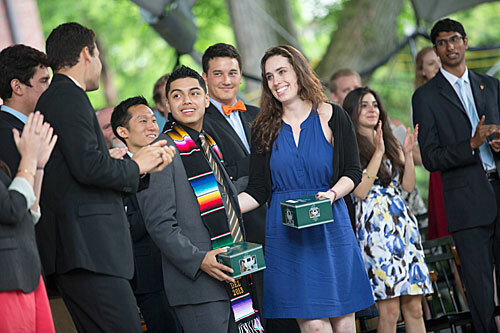 While Harvard students are often commended for their many achievements, this award is unique in striving to identify individuals whose substantial contributions have not been acknowledged. In effect, the goal of this award is to honor two unsung heroes of the Class of 2013. We welcome nominations of seniors whom you consider worthy of such an honor, whether their service has impacted the community inside or outside of Harvard, on a large or small scale. We ask for your help in bringing their stories, and the lesser-known facets of our classmates’ personalities, to light. At the same time, please do not hesitate to nominate individuals who may already have received some recognition for holding leadership positions in organizations or activities.